When a culture has really made its bones and can call itself a culture there is something deeply life affirming about it. Not that new things don’t or can’t arise – of course they do. But a real culture has something proud and leaning back in her chair looking out at the world and saying ‘this will do.” There is joy and simplicity in that and also a bit of sorrow and heartbreak about the way things are too. Where we live constantly seeks the new. Compulsively so. Hungrily so. It drives us to lease new cars every two years, have the economy constantly growing, find summer outfits and constantly point to your happiness finally being fulfilled if you just call the number at the bottom of the screen right now to get one extra piece of junk for free. We have all done it. None of us are off the hook in this regard. But the same impulse that drives us to always have the new has us never wanting to be old or look old. And so one of the consequences of this is that our olds get shipped off to ‘homes’ because we aren’t skilled with having old stuff around. And we see what this constant needing to grow does the ecology and the environment. When the doctor swabs your cheek for a culture – the white coat is going to try to grow something. When you eat cheese, it is a culture. Ready to receive life and grow it. It’s not exactly clean, it’s a little funky, but it’s the real deal – no doubt about it. What we call ‘western culture’ is probably more precisely called ‘western antibiotic’ because our way of life generally isn’t that life affirming. Broadly speaking in generalities, to be sure. Mercy to all of us. We are all trying our best, I guess. So it’s a kind of a blessing when some people in the midst of a churning swirl of the Next Best Thing River actually paddle over to the banks and look back to see the bends a bit further upstream and wonder about them. 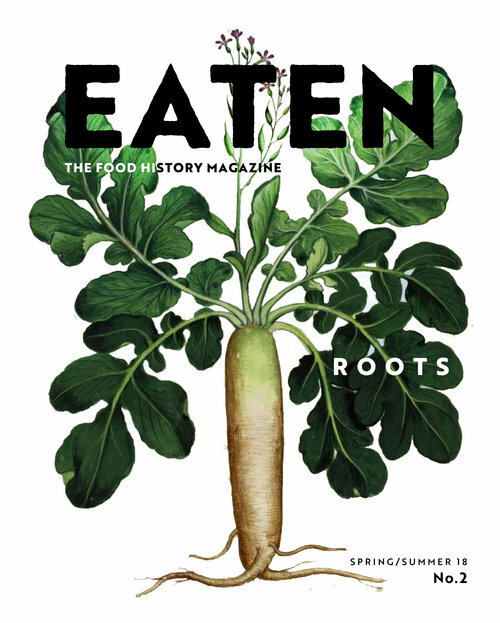 The folks at Eaten Magazine are pretty good in this regard. This is great magazine. And if you like your skincare made from grass fed beef tallow – like I know you do. Eaten Magazine is your kind of advertising free wise meander through an antique land. We here at Primal Derma also believe in getting to the side of the too fast currents of the Next Best Thing River. And we, like Eaten, like to look backwards a bit to find our place more firmly here. Take a look and maybe pick up a bit of Primal Derma if you haven’t in a while.